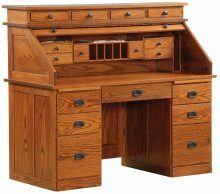 Roll-top desks are practical, reliable and durable. They also make a stylish addition to any room. 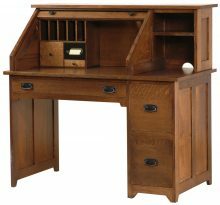 With a roll-top desk, you never have to worry about how messy or disorganized the desk is. You can pull down the top to hide all your papers. That means you can leave projects on your desk without having to put them away when company comes. 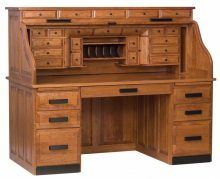 Plus, the regal appearance of a roll-top desk makes any room feel more elegant. 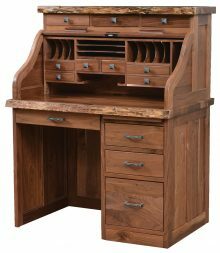 You can choose from a wide variety of roll-top desks from AmishOutletStore.com. Our desks range from small to large and everything in between. 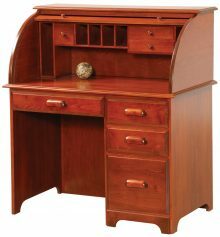 You can choose a big desk as the focal point for a study or a small desk to put in the corner of a bedroom. 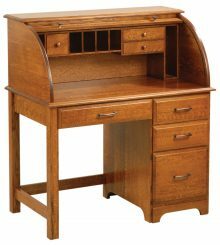 These desks work equally well for students, people who work from home, or those who just want to organize their bills. 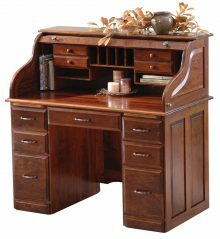 The exceptional quality of authentic Amish-made furniture means you will enjoy this desk in your home for years to come. We offer these desks in your choice of wood — and our artisans can also apply a stain to the wood. 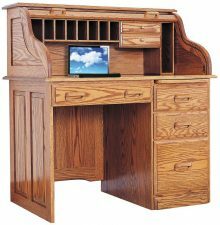 The Amish who make our roll-top desks learned their skills by watching their parents and grandparents create furniture. These artisans pass down their trade from one generation to the next. Each piece uses the finest materials and is built to last. You can see a big difference in quality between our furniture and furniture sold by mass-market retailers. 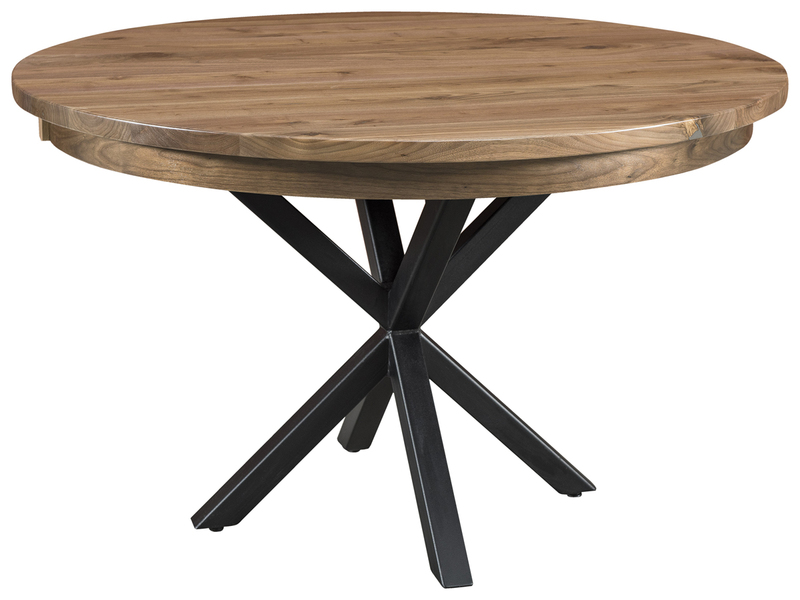 Get discounts of up to 33 percent off our furniture every day, and peruse our monthly specials, too, which we list on our homepage. Contact us today to learn more about your furniture options!